This month I am celebrating four years of blogging as Pieced Brain! I have gotten to know so many wonderful people, have enjoyed sharing my projects and tutorials and, most of all, have been touched by so many of you. A book and some fabric! The Farmer's Wife 1930 Sampler Quilt by Laurie Aaron Hird (includes CD with templates), and two yards of digitally printed fabric by Hawthorne Threads, all courtesy of my quilting friend Deb. These prints are sooooo cool (It is snowing outside so these are the best pics I can send you!). All you have to do is leave a comment telling me what you like about quilting blogs. If you are a noreply blogger, leave your email like this - soandsoatclouddotnet - so you don't get spammed. For an additional chance, let me know how you follow this blog in a separate comment. Winner will be announce on Monday, February 27. Thank you for four wonderful years! I love blogs for the wonderful kind and encouraging friends we meet along the way. Quilters are the best! I love all of the inspiration blogs provide. thanks for sharing. I like all of the new ideas I get from reading other's blogs. There's a world of information out there. Thanks for the opportunity to win your generous giveaway. Quilting bloggers are how I have learned a lot of tips and tricks when it comes to sewing and piecing easier. Happy Anniversary! Congratulations on 4 years. I love blogs because they give a personal glimpse into and behind the quilts that are made or the tutorials given. I feel like a friend to those that blog. Instagram is great for instant gratification but it really says nothing much about the person(s) behind the making and that is the most enjoyable part of quilting besides making things myself. I looooove Blogs...mostly because it is like visiting with a special friend, Love learning new ideas,& patterns/Tutorials,etc etc. I don't do the FB, Instagram etc stuff.. Blogs are my Favorite spots. I love to see the finished products. Such an inspiration. Congratulations on your anniversary. It's awesome to celebrate the milestone in such a Generous way! I follow your blog via email. Congratulations! I like blogs for in depth tutorials and tips. If I have a question or want to get better at a particular skill, I always go to the blogs first and I'm sure I'll find someone that does it like a pro. Thanks for your constant inspiration! Congratulations! I love blogs, because this is for me like a quilters circle. Lots of encouragements, challenges, help and new virtuel friends, as I have no quilty friends close by! Happy anniversary! I love quilting blogs for the inspiration, the learning opportunities and the fun of seeing what others are creating. Thanks for the giveaway. I am a follower via bloglovin nd it is fun and inspiring to read our blog! I'm following you with bloglovin. Hi Denise! I treat myself daily to some inspiring blogs:). I love blogs for their inspiration, insight and a sense of community. I follow by email and am so glad that I do. I love the inspiration and tutorials-lots of fun. Congratulations on the anniversary! I love quilting blogs for the community and the inspiration and support. The quilt blogging community is so friendly and encouraging. I just love chatting with all of the other quilt bloggers across the world. Thanks for the giveaway! I love blogs for inspiration and encouragement! I like the inspiration but I also like the tutorials. I just love quilting blogs. There is so much inspiration as well as quilting tutorials. It is like your own private library to the quilting world. So much to learn and so much to learn. There is nothing more special to see than these blogs. It is yours every day. Thank you for the chance to become a winner. Quilting and fabric. Can't go wrong with this giveaway. I love reading blogs for the pleasure of the fabric and quilting eye candy, the ideas, inspiration, tips, encouragement and support and tutorials. What's not to like and enjoy on a quilting blog? I follow you on my blogger reader. I appreciate all the tips shared on your blog, and want to congratulate you on four wonderful years! I find inspiration in quilting blogs, including tips and tutorials and what's going on in the quilting world, new fabric, new designs...and I'm always learning something new. Thanks for all you do !!!! I follow you via email !!! I like quilting blogs for step by step instructions AND for inspiration. I also love when bloggers share a bit of their non-quilting life so I feel like a real person is out there! I follow you by email - always a happy sight in my inbox! I love quilting blogs for the inspiration! Also, to see that pretty much everyone has some UFOs! Congratulations on your four year anniversary, here's to the upcoming five year one! I like blogs for the information that other quilters bring to us. Little snippets of their lives, tips, projects, links, successes and even the not so successful tries. Each blog and the person behind it adds to the feeling that we all have something in common and can cheer each other on while sharing ideas. Love reading your blog. I get inspired with new ideas and love the stories. I love quilting blogs! I have learned so much reading and watching tutorials. Bloglovin follower: Nicole Sender & e-mail subscriber. I like blogs ,because they reach so many people and they supply so much information and video one should never run out of ideas on anything you wish to do. Happy blogaversary! I love blogs for the inspiration and relaxation! Always good to see what others are working on and get tips! thanks!! Happy Blogaversary! I love quilting blogs for inspiration and to see fabric lines that are available. I love reading blogs because of the tutorials and new ideas. I also feel encouraged by what I read. Why do I love quilting -- let me count the ways. It allows me to be creative. It allows me to express love to family and friends. It reminds me of family and the quilts made by them that I slept under as I grew up. I love the colors, designs, and texture. I love the comfort and warmth they bring. Oh bother -- I just reread the question. So I will answer that, but I am going to leave the 1st part because it is true. I enjoy quilting blogs because of all I learn and because of the inspiration they give me. Congratulations on four years of blogging! Wonderful success. I follow via email and feedly. Thank you for your generosity with this giveaway, Denise. Quilt blogs are such a wonderful way to learn what others are doing, to meeting and (virtually) interact with other quilters, not to mention the tutorials that quilters so willingly share -- all reasons why I love quilt blogs. I love seeing what others are doing...color choices, patterns, etc. Congratulations on four years of blogging! I follow you on email. Congratulations to you. I love all the wonderful information that is shared in blogs. 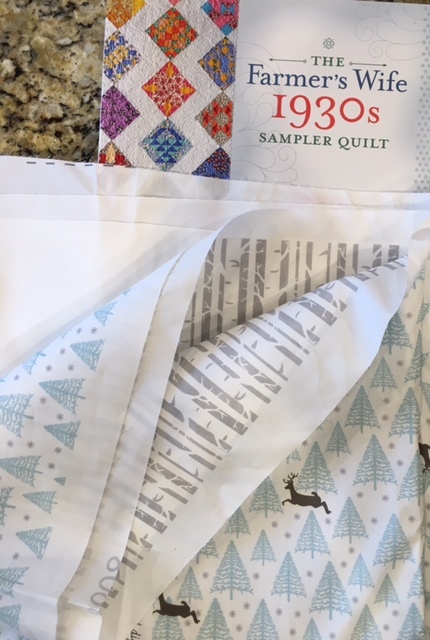 It's a good way for me to learn about what's new in the industry as well as new techniques and view many beautiful quilts. Congratulations! 4 years goes by so quickly, I hope you have many more. I don't belong to a guild, so reading blogs is how I get together with friends I haven't met yet. I love the photos and learning about their process and their creativity. I follow through Bloglovin! Yea!!! I also follow through email! Double yay!!! I am inspired by seeing projects, fabrics, patterns, etc. Tutorials are wonderful too! I follow your blog via GFC and email. I love quilting blogs,because I learn so much from other quilters! Thanks for the giveaway! i just love the inspiration, project ideas, tips, and incredible information I gather from quilt blogs! I love reading blogs because I always get inspired in such a variety of ways. Plus, on probably 99% of all blogs, I learn new techniques and tutorials also about new designers or new lines of fabrics the list just goes on. Thank you for this great give away and the opportunity to win it. 95% of what I know about quilting I've learned by reading blogs. I love when bloggers share techniques, patterns, photos, and gadgets they love. I'd be lost without blogs! I'm following you via Bloglovin, email, andd IG (@winkowl). 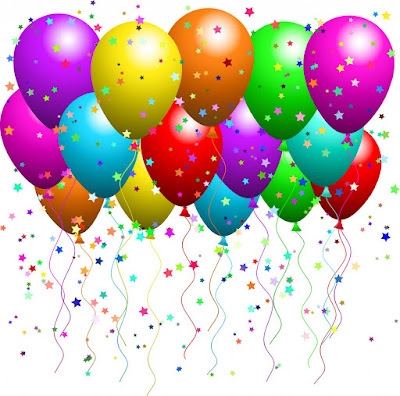 Congratulations on celebrating 4 years of blogging!! I follow you on Bloglovin' and IG! I love looking at finished projects. It's a great source of inspiration for me. I learn quilting thru blogs. Whenenver I go thru these blogs each day I will come across a new block. There is so much to learn everyday. Happy anniversary. i like when bloggers shares tips and techniques it makes my sewing easier. And I love to see all the creations that crafters made it's so inspiring. I follow you blog via Bloglovin. Congrats on your 4th anniversary. I like the friendships that blogs have brought me. I love reading quilting blogs that feature tutorials on quilts that they made. I'm a visual person, and seeing the design and how the fabrics blend together, makes it so much easier for me to do. Thanks for a great blog. I love learning from tutorials on quilting blogs! And meeting new quilty friends!! I love the inspiration. I always get great ideas. I love quilting blogs to get inspired. I learn a lot, too! Blogs are so interesting to see what other people are doing, I get inspiration from everyone. Thanks for sharing. I love the personal contact that you can make with bloggers. It is much nicer than the quick quips on IG. I love that quilting blogs share so many different ways to be creative! I enjoy seeing others' projects and feeling the love along the way. I follow via Feedly and Instagram =) . Congratulations! I love seeing what other quilters are making, I get so many ideas running thru my head when I see what others are up to.. I also love the tutorials, not the stiff, prim and proper ones that are right on point, but the ones that share what bumps in the road they have had and how to avoid making those same mistakes. I love reading what inspires others to quilt in the comments. Happy anniversary! I love quilting blogs for inspiration and tutorials. Thanks for the chance to win! I follow you via email! Thanks for the chance!! I'm constantly learning. There are daily new methods, faster methods, easier methods. Its constant. I get inspiration from other quilters by reading blog posts. I enjoy seeing a part of this blogger's creative mind in pictures. When I need a shot of happiness blogs can cheer me up with the creativity that is shared. I see Pieced Brain's posts on Facebook and link to the blog through that. I've made three of the sewing pouches from your pattern. I love quilting blogs for the ideas and inspiration. I also love getting tips and tricks that I never would have thought of myself! Congrats on four years! I read quilting blogs for inspiration. I love seeing new ideas and ways to put together colors and prints. Quilting Blogs bring a community together like no other. I mean where can we all share our talents, struggles w/piecing, photography, and occasaionally get a good laugh at ourselves. THank you for being there with us each day. I loved your post and the snipets from the 12 Pack book...the Village block is one of my favorites too. I'm a Bloglovin follower of Pieced Brain. THank you. I enjoy the inspiration that I get from looking at other's work. I like quilting blogs because they give me so many ideas on new projects or techniques I can try. Holy cow, 4 years!!! That went by fast! I love being inspired by quilting blogs, and I especially love seeing the way projects evolve and come to be. I love all the inspiration! There are so many different and beautiful things a world wide connection of quilters can produce! Congrats! I love blogs because you get to know the personality of the writer. I love quilting blogs because I get such great inspiration from all of you!